​﻿A long, wide cascading waterfall extends (approx 100 meters) down to the swim hole (Corazon del Rio). There are several areas that flatten out in the waterfall, where (in the lower flowing summer months) you can relax in a chair and read a book. 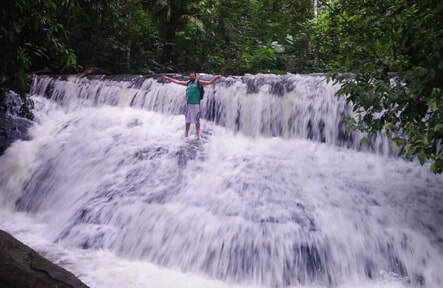 Have a cool adventure hiking up and down the waterfall enjoying its beauty. If you have a camera you can get lost in the natural beauty. 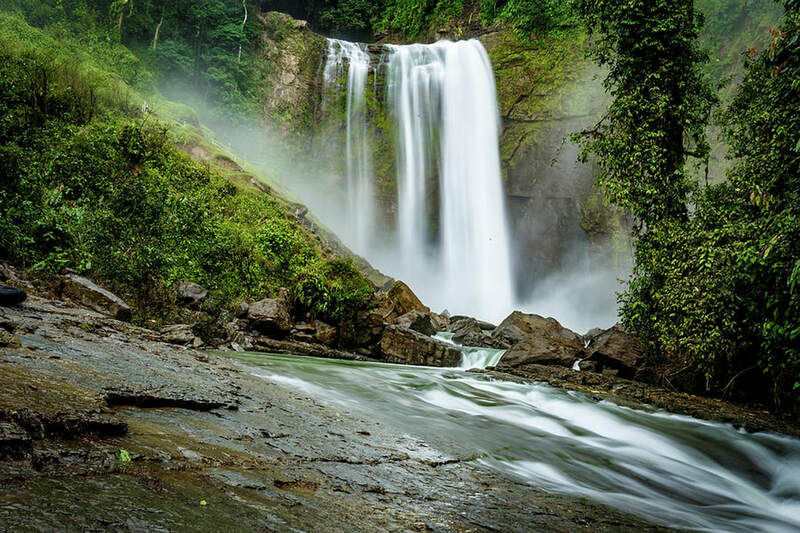 Corazon del Rio is surrounded by breath taking waterfalls! 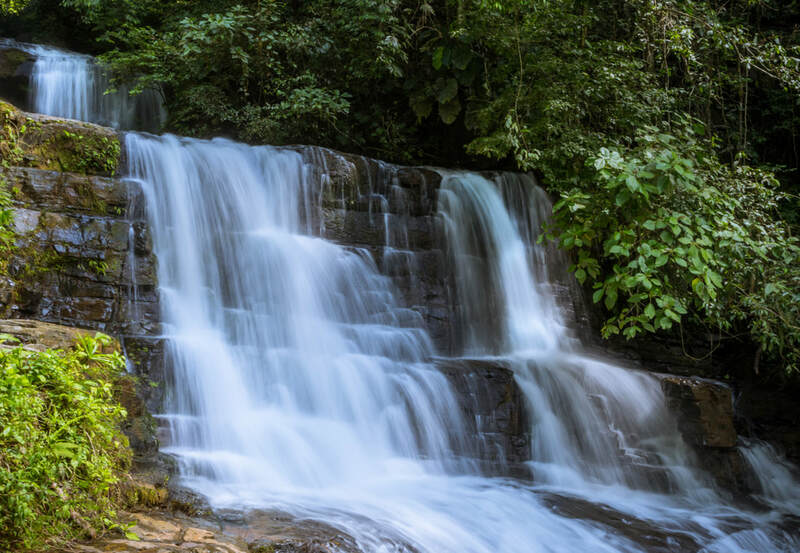 Within hiking distance from our cascading Corazon del Rio Waterfall (above) are the beautiful El Tronco, La Sota, La Raiz and Las Piedras waterfalls. 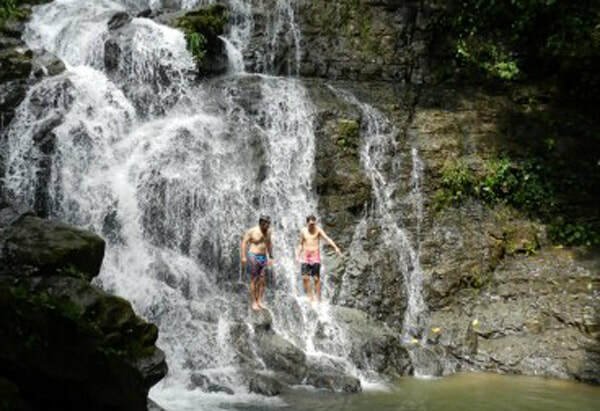 Our neighbor at La Ceiba EcoAdventures provides hikes to these beautiful waterfalls. A short five minute drive west is the Nauyaca waterfall trailhead. 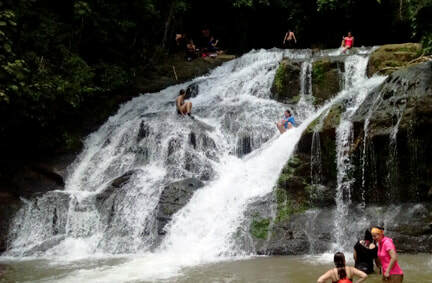 A twelve km drive from town (on a dirt road) are the Chontales and Rana Roja waterfalls. ​A fifteen minute drive east are the Diamonte Waterfalls. We are so fortunate to be so close to all of these waterfalls that each have their own special characteristics and are simply amazing! 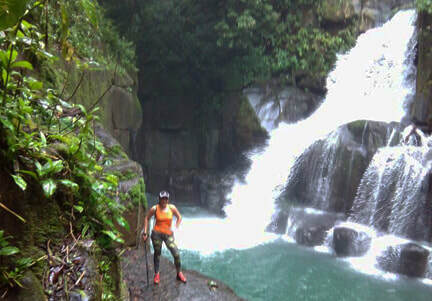 We truly are in the "Valley of the Waterfalls" ~ Platanillo.